The long-lasting, delightfully chewable candy—the number one-selling chewy chocolaty candy in America—has been made with the same recipe since 1896, when Leo Hirshfield, an Austrian immigrant, opened a small candy shop in New York City, producing the first individually wrapped penny candy from a recipe he brought from Europe. Leo’s recipe required the incorporation of the previous day’s Tootsie Rolls into each newly cooked confection, a graining process that Tootsie continues to this day. 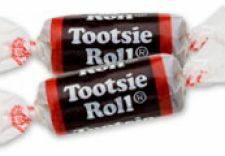 As such, there’s (theoretically) a bit of Leo’s very first Tootsie Roll in every one of the sixty four million Tootsie Rolls that Tootsie produces each day. 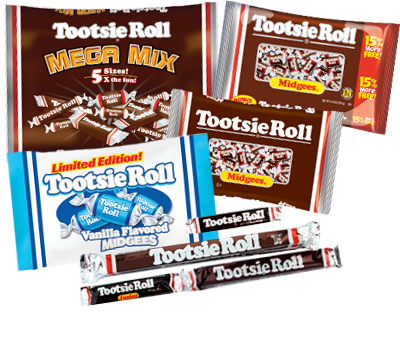 And with at least one variety still selling for just a penny apiece, it’s no wonder that Tootsie Roll has remained America’s favorite candy. Available in eight popular sizes and varieties: Midgees, Mini-Midgees, 5-Cent, 10-Cent, 20-Cent, Giant Bar, Count Good Bag, and Snack Bar. 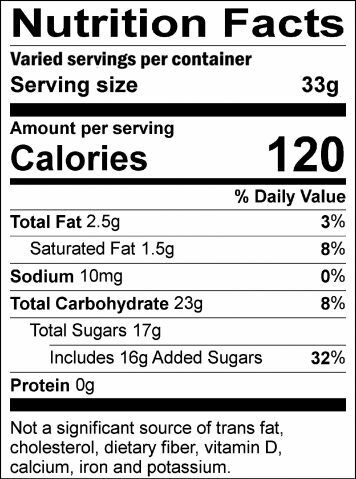 Ingredients: Sugar, Corn Syrup, Palm Oil, Condensed Skim Milk, Cocoa, Whey, Soy Lecithin, Artificial and Natural Flavors. Austrian-born Leo Hirshfield opened a tiny candy shop in New York City. Taking full advantage of his confectioner’s background, Hirshfield personally blended, cooked, and peddled a variety of products, including an individually wrapped, oblong, chewy, chocolate candy that quickly became a customer favorite. 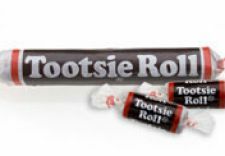 Sold at a penny apiece and affectionately named after Hirshfield’s five-year old daughter, Clara, whose nickname was “Tootsie,” Tootsie Rolls propelled Hirshfield’s modest corner store into a burgeoning candy enterprise that has evolved in little more than a century into the multinational corporation, Tootsie Roll Industries.